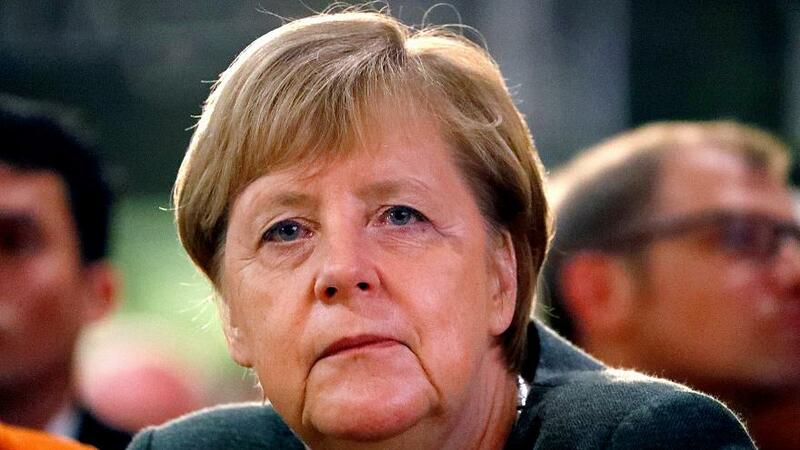 German Chancellor Angela Merkel on Monday announced she will be stepping down as chancellor in 2021. The politician added she would not seek re-election as CDU party chairwoman in December. “The question is, what role can I play for my party and country,” Merkel said at a press conference. “For the next federal election, I will not stand as federal chancellor nor as a candidate for the Bundestag, and … I won’t seek any further political offices. “Today I made a decision which should enable the federal government to do good work in the future. “I have come to these conclusions not only through deliberation but through experience,” she added. Merkel has been CDU chairwoman since 2000 and giving up the role would start a movement within the party to succeed her as chancellor. The euro fell to session lows upon the news. Standing down from the party chair would allow a new CDU chief to build a profile before the next national election, due in 2021. Merkel’s favoured successor is CDU party secretary general Annegret Kramp-Karrenbauer. Merkel’s weakness at home may limit her capacity to lead in the European Union at a time when the bloc is dealing with Brexit, a budget crisis in Italy, and the prospect of populist parties making gains at European Parliament elections next May.